Our Fitness Center is the newest amenity to our club. It offers fitness options for every level in a three room fitness complex. 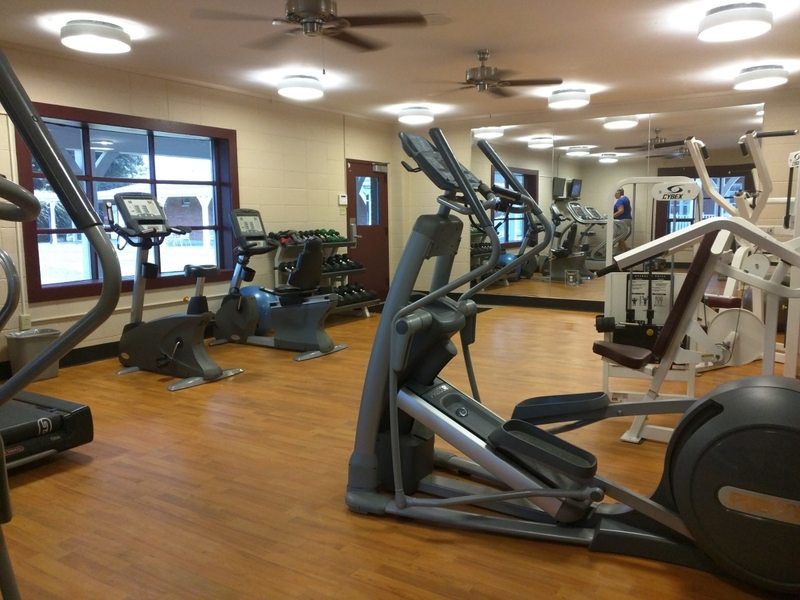 Equipment options include treadmill, elliptical, recumbant bike, strengthening equipment, dumbells, floor mats, and more. With locker storage, complimentary towels and beverages, TVs, and stereo system, the fitness center has all the amenties needed to complete your workout.